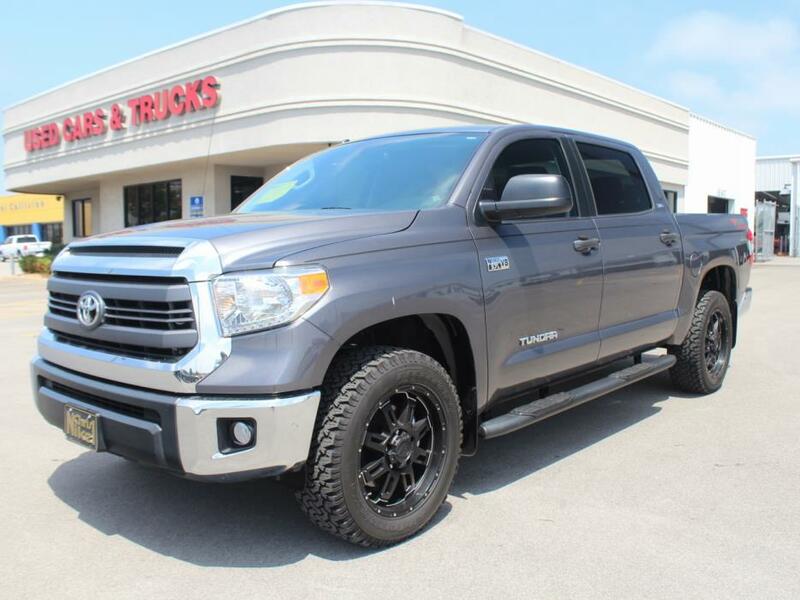 --FOUR DOOR 4X4--2013 Tundra CrewMax SR5--AT PACKAGE--Black 20' FUEL Wheels--All-Terrain Tires--Side Steps--Two Tone Leather Trimmed Seats--Entune Touch Screen Radio with NAVIGATION--Bucket Seats--Back Up Camera--Bluetooth Hands Free Phone--HUGE Interior with room for five--5.7 iForce V8--Automatic Transmission--Ready to tow!--Spray In Bedliner--CLEAN Inside and Out--CARFAX ONE OWNER-- Chris Nikel Chrysler Jeep Dodge RAM in Broken Arrow, OK has a huge selection of pre-owned vehicles to suit your needs and fit your budget. Our no-hassle shopping experience and excellent service have kept customers coming back again and again, since 1973. And all of our used cars, trucks, and vans come with the Chris Nikel Assurance... inspected, service, and reconditioned like new to give you many, many miles of worry-free driving. Our Finance Department is standing by with competitive rates and terms to help fit a new vehicle into your budget. For more information about this listing or to schedule a test drive, call Internet Sales Direct at 918-806-4126. It's MORE than your Nikel's worth! --LIKE NEW V8 Tundra CrewMax SR5--BLACK AT PACKAGE--Black 20' Wheels--All-Terrain Tires--Side Steps--Entune Touch Screen Radio with NAVIGATION--Bucket Seats--Back Up Camera--Bluetooth Hands Free Phone--HUGE Interior with room for five--5.7 iForce V8--Automatic Transmission--Ready to tow!--Spray In Bedliner--CLEAN Inside and Out--CARFAX ONE OWNER-- Chris Nikel Chrysler Jeep Dodge RAM in Broken Arrow, OK has a huge selection of pre-owned vehicles to suit your needs and fit your budget. Our no-hassle shopping experience and excellent service have kept customers coming back again and again, since 1973. And all of our used cars, trucks, and vans come with the Chris Nikel Assurance... inspected, service, and reconditioned like new to give you many, many miles of worry-free driving. Our Finance Department is standing by with competitive rates and terms to help fit a new vehicle into your budget. 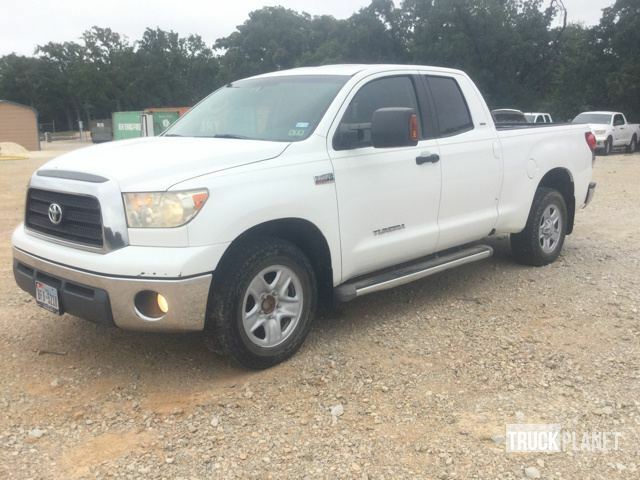 For more information about this listing or to schedule a test drive, call Internet Sales Direct at 918-806-4126. It's MORE than your Nikel's worth! 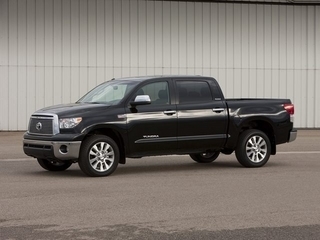 Tundra SR5, SR5, Take command of the road in the 2006 Toyota Tundra! A great vehicle and a great value! Toyota infused the interior with top shelf amenities, such as: tilt steering wheel, power door mirrors, and a split folding rear seat. It features an automatic transmission, rear-wheel drive, and a 4 liter 6 cylinder engine. We have a skilled and knowledgeable sales staff with many years of experience satisfying our customers needs. We'd be happy to answer any questions that you may have. 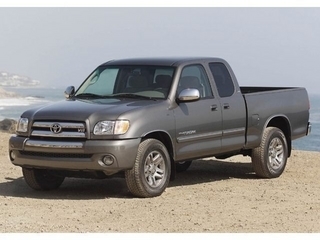 We are here to help you., Take command of the road in the 2006 Toyota Tundra! 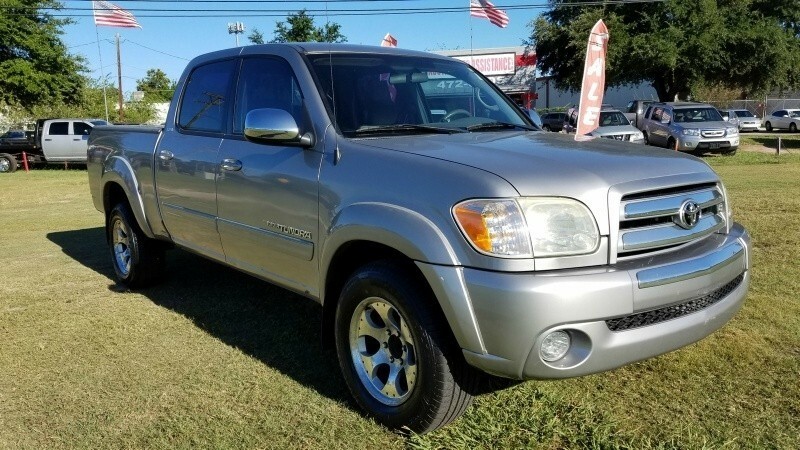 A great vehicle and a great value! Toyota infused the interior with top shelf amenities, such as: tilt steering wheel, power door mirrors, and a split folding rear seat. It features an automatic transmission, rear-wheel drive, and a 4 liter 6 cylinder engine. We have a skilled and knowledgeable sales staff with many years of experience satisfying our customers needs. We'd be happy to answer any questions that you may have. We are here to help you. 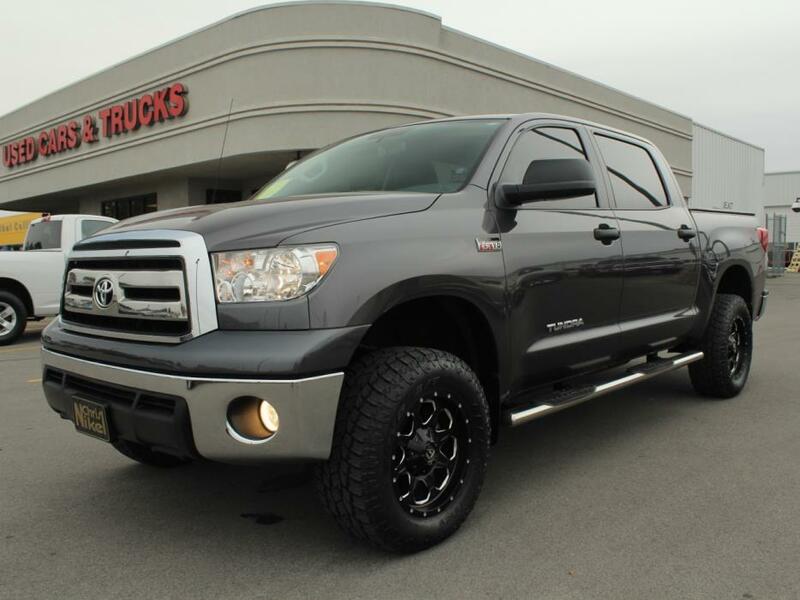 Tundra SR 5.7L V8, SR 5.7L V8, CARFAX 1-Owner, GREAT MILES 18,504! 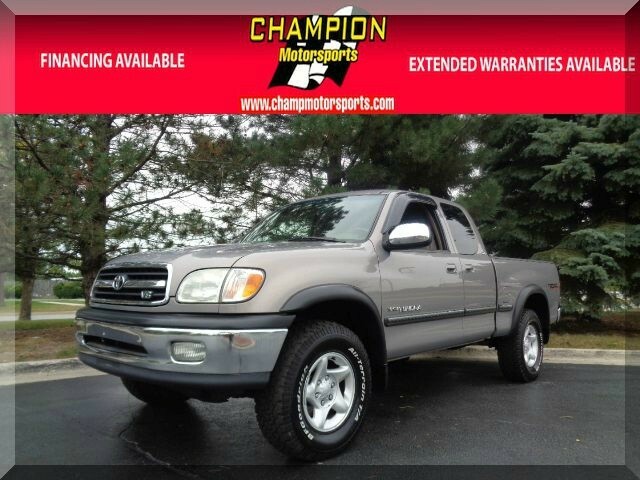 REDUCED FROM $30,454!, $2,300 below Kelley Blue Book! SR trim. iPod/MP3 Input, Bluetooth, CD Player, Hitch, Back-Up Camera. READ MORE! KEY FEATURES INCLUDE Back-Up Camera, iPod/MP3 Input, Bluetooth, CD Player, Trailer Hitch. MP3 Player, Keyless Entry, Child Safety Locks, Electronic Stability Control, Heated Mirrors. 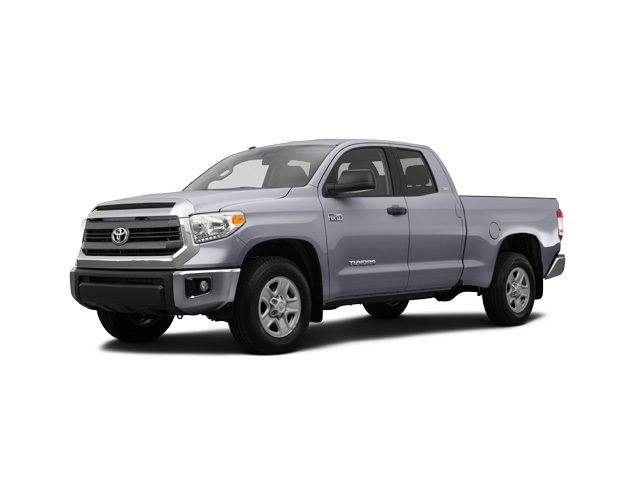 EXPERTS REPORT 's review says 'The 2015 Tundra full-size pickup truck has allure with Toyota's reputation for quality in general and this model's excellent resale value in particular. It also has deep American roots: The truck was designed and is made in America.'. EXCELLENT VALUE Was $30,454. 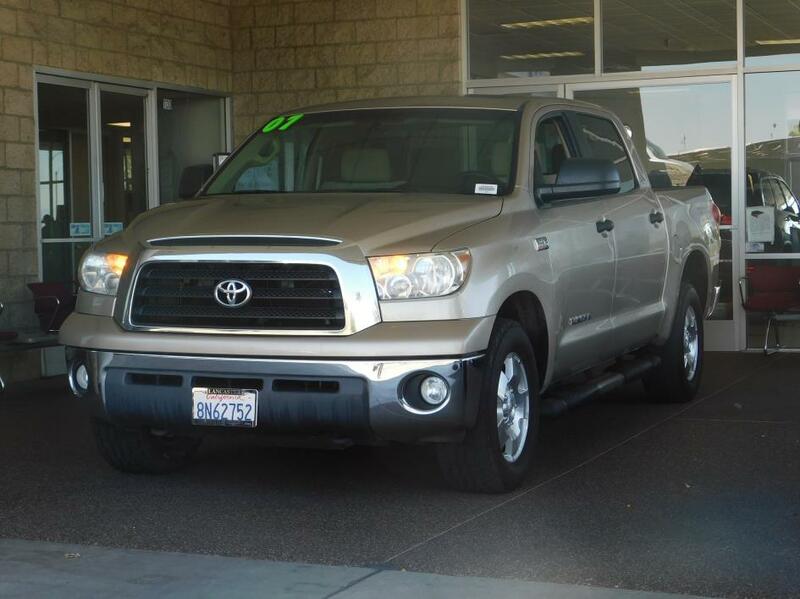 This Tundra is priced $2,300 below Kelley Blue Book. PURCHASE WITH CONFIDENCE CARFAX 1-Owner MORE ABOUT US Family owned since 1944. Visit us in the heart of the Lancaster Auto Mall. Pricing analysis performed on 8/26/2016. Please confirm the accuracy of the included equipment by calling us prior to purchase., Daytime Running Lights,Power Windows,Keyless Entry,Power Steering,Rear Wheel Drive,Power Door Locks,Cruise Control,Trailer Hitch,AM/FM Stereo,Cloth Seats,Brake Assist,iPod/MP3 Input,Steel Wheels,Bluetooth,Pass-Through Rear Seat,Power Driver Mirror,Back-Up Camera,Vehicle Anti-Theft System,Auto-Off Headlights,Driver Air Bag,Passenger Air Bag,A/C,Rear Head Air Bag,Child Safety Locks,Heated Mirrors,MP3 Player,Electronic Stability Control,Side Head Air Bag,Auto Transmission w/Manual Mode,8 Cylinder Engine,4-Wheel ABS,Tire Pressure Monitoring System,Tires - Front All-Season,Adjustable Steering Wheel,Gasoline Fuel,6-Speed A/T,Full Size Spare Tire,Split Bench Seat,Tires - Rear All-Season,Variable Speed Intermittent Wipers,CD Player,4-Wheel Disc Brakes CARFAX 1-Owner, GREAT MILES 18,504! REDUCED FROM $30,454!, $2,300 below Kelley Blue Book! SR trim. iPod/MP3 Input, Bluetooth, CD Player, Hitch, Back-Up Camera. READ MORE! KEY FEATURES INCLUDE Back-Up Camera, iPod/MP3 Input, Bluetooth, CD Player, Trailer Hitch. 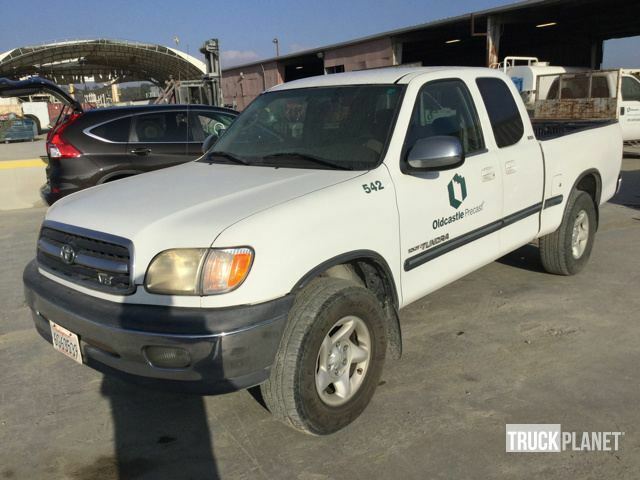 MP3 Player, Keyless Entry, Child Safety Locks, Electronic Stability Control, Heated Mirrors. 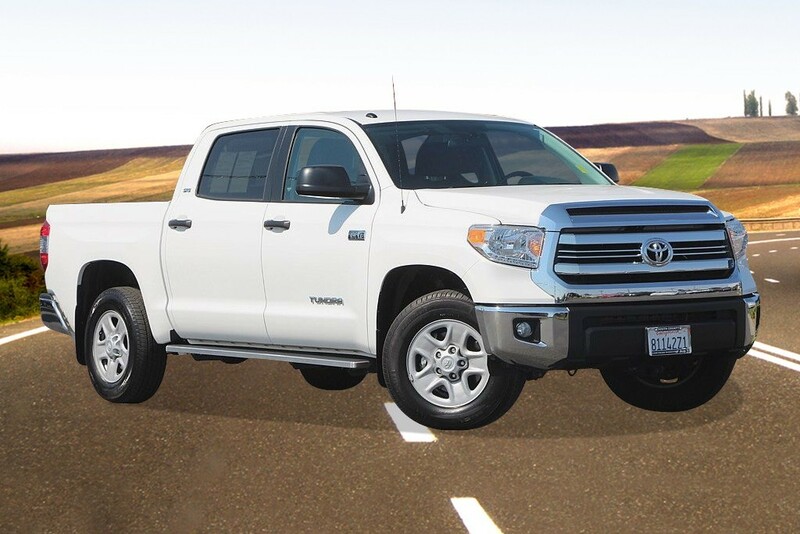 EXPERTS REPORT 's review says 'The 2015 Tundra full-size pickup truck has allure with Toyota's reputation for quality in general and this model's excellent resale value in particular. It also has deep American roots: The truck was designed and is made in America.'. EXCELLENT VALUE Was $30,454. 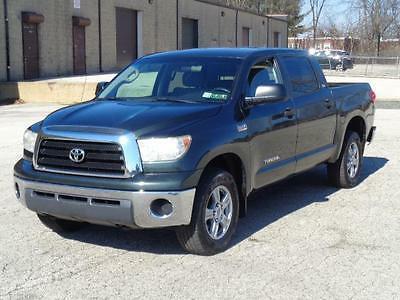 This Tundra is priced $2,300 below Kelley Blue Book. PURCHASE WITH CONFIDENCE CARFAX 1-Owner MORE ABOUT US Family owned since 1944. Visit us in the heart of the Lancaster Auto Mall. Pricing analysis performed on 8/26/2016. Please confirm the accuracy of the included equipment by calling us prior to purchase. 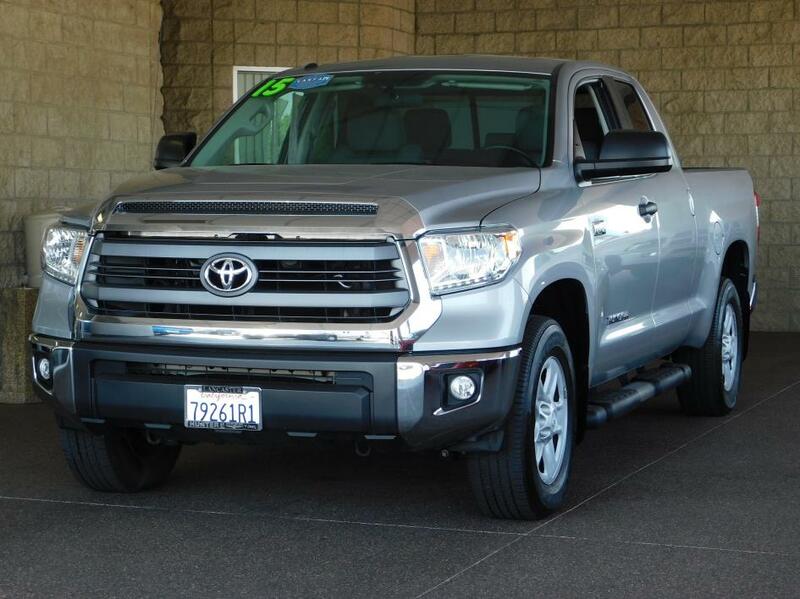 Thank you for viewing our Pre-owned Carfax 1-Owner 2015 Toyota Tundra SR5 in Silver Sky Metallic! 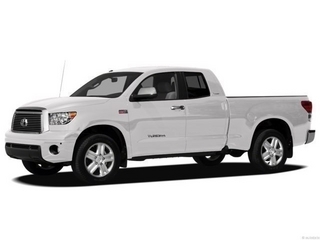 The Tundra is a great choice! 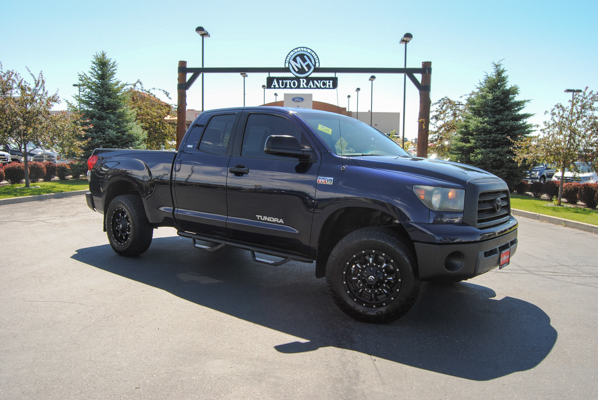 This beautiful Tundra comes well-equipped with a 8 Cylinder Engine, Automatic Transmission and only 9,436 Miles. Popular equipment includes Backup Camera, Bluetooth, and Keyless Entry! Rest assured! All of North Point's pre-owned vehicles are researched and priced regularly using LIVE MARKET PRICING TECHNOLOGY to ensure that you always receive the best overall market value. Contact us today to check availability and to schedule a hassle-free test drive!